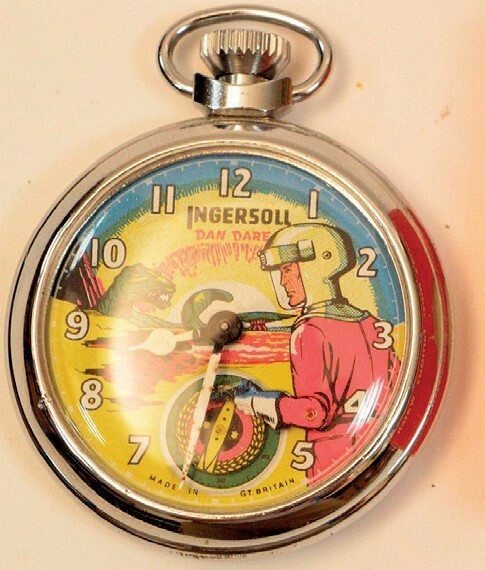 A vast treasure-trove of toys assembled by an antiques shop owner in Scotland will be dispersed in a two-day toy sale in Newcastle on February 21-22. Derek Payne spent 25 years building up the collection, starting with space-themed toys before widening his interests. It became known as the Moffat Toy Museum and was housed above his antiques shop, the Lothlorien Emporium in Dumfries and Galloway. The single-owner collection has been consigned to Anderson & Garland and contains around 5000 toys, ranging from a Victorian Noah’s Ark to modern-day film action figures. 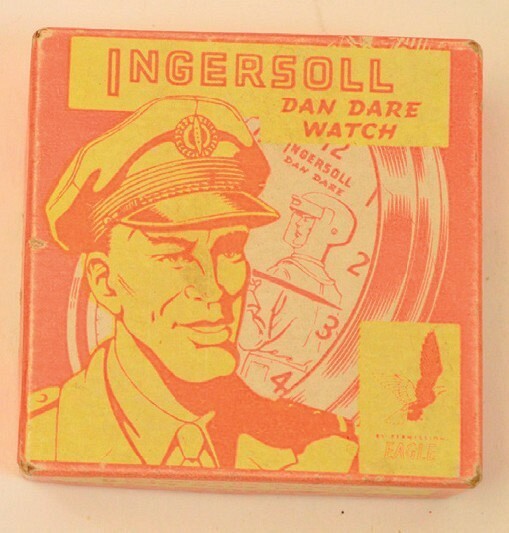 A variety of items based on the science fiction comic hero Dan Dare includes anIngersoll watch in its original box, estimated at £300-500. Collins Antiques of Bideford in north Devon is selling a late Victorian-period hoopla game, priced at £275. It is made from boxwood and mahogany and comprises nine boxwood rings and nine numbered and coloured posts. 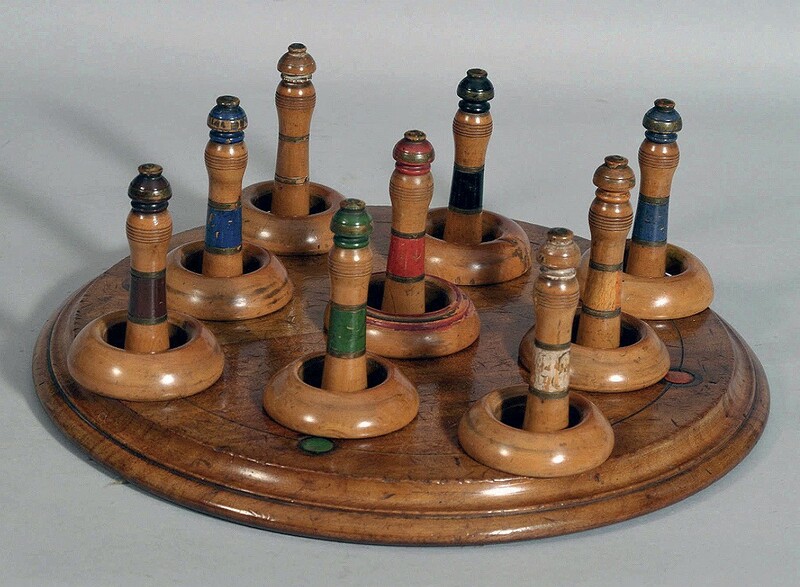 These can be moved in holes on a circular mahogany board which has four different coloured markers. 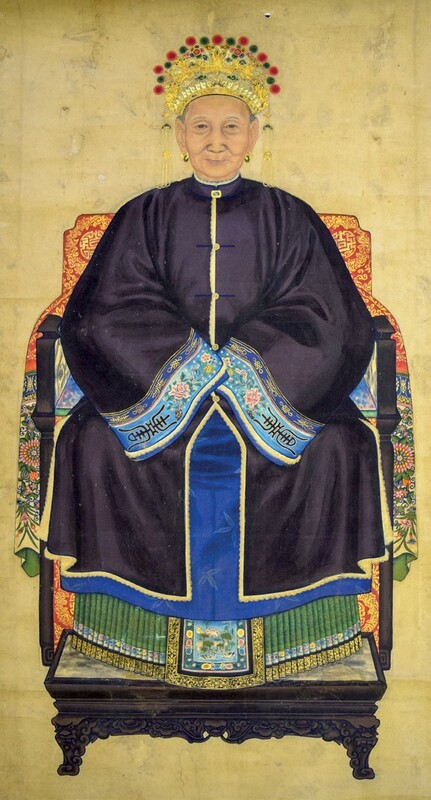 This 5ft 1in x 2ft 9in (1.56m x 84cm) Chinese Qing dynasty scroll – decorated with a seated female official wearing gold embellished robes and dress – is estimated at £200-500 at Hannam’s on February 18- 20 in Selborne, Hampshire. It forms part of a private collection of 50 Chinese paintings and scrolls assembled from the 1950s onwards and is estimated at £100-500. Captain Frederick Leonard Hingston was mentioned in despatches in the London Gazette on September 10, 1901, and received this Queen Victoria South Africa Medal with six clasps from the Boer War. The clasps are for Belfast, Diamond Hill, Johannesburg, Driefontein and Cape Colon. Ewbank’s of Surrey has estimated the medal at £100-150 and it will be offered for sale on February 14. Captain Hingston served with the First Battalion of the Duke of Cornwall’s Light Infantry during the First World War and was killed in action in Ypres on April 26, 1915.